It is possible to 'emulate' old BBC Micro Computers on any PC. Visit BeebEM for help on this topic. 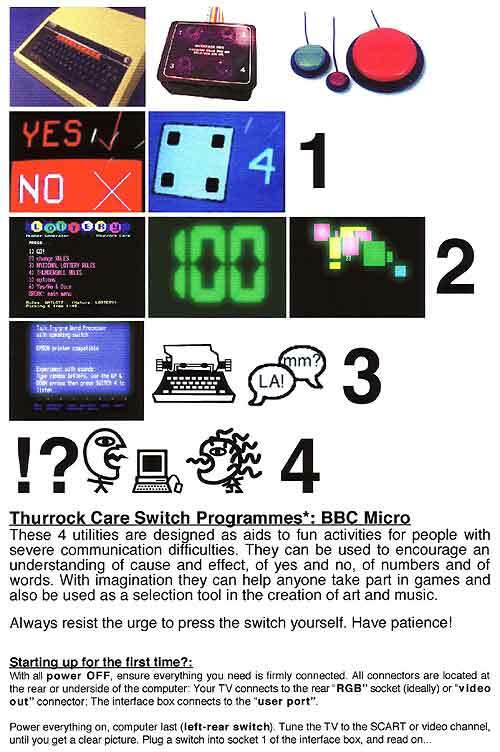 Click here - to download the Thurrock Care Switch Programmes emulated software. Alternatively for reliable loading on an original BBC Micro see GoMMC SD Card Drive.